A perennial question on forums and modelling sites is the request for more info on the 190A-8/R2 and A-8/R8.
" ...Does anyone know the difference between the FW190A-8/R2 and A-8/R8? The reason I ask is I have both the 1/48 Tamiya A-8/R2 and the 1/48 Hasegawa A-8/R8. In the instructions for the Tamiya kit it is advised that the fuselage guns for the R2 version be removed, but in the Hasegawa instructions for the R8 they have you leave the fuselage guns in. My understanding is the A-8/R2 and R8 had the extra armour on the fuselage side under the cockpit and it has the 30mm cannon added to the outboard wings and the fuselage guns were removed and this plane was made for attacking bombers and if the pilots could not shoot the bomber down they were suppose to ram it but few ever did.."
Well for most modellers the debate is entirely redundant - I'd go further and say that in fact the R2/R8 debate is a complete can of worms since they were essentially the same thing! Firstly, the following is excerpted from the September 1944 edition of “D. (Luft) T.2190 A-8, Fw 190 A-8 Aircraft Handbook.” This is the Luftwaffe erection and maintenance manual for the A-8 series aircraft. 2 MG 131 in the upper cowling with 475 rpg. 2 MG 151 in the wing roots with 250 rpg. 2 MG 151 in the outer wing with 140 rpg. Fw 190 A-8/ R7 with increased cockpit armour for use by the Stumstaffeln, with the following armament: 2 MG 131 and 4 MG 151 as per the standard Fw 190 A-8. Fw 190 A-8/R8 also with the increased armour, but with 2 MK 108s in the outer wings as per the Fw 190 A-8/R2. So much for the 'official' manufacturer's documentation. A-6: When the first Sturmstaffel - Sturmstaffel 1 - was formed in the autumn of 1943, ie a full year before the handbook quoted above - the A-6 model was in production. It had a lightened wing structure and was designed to mount four MG 151s firing armour-piercing and incendiary rounds. It received the additional "Sturmjägerausrüstung", consisting of an armoured glass windscreen, triangular glass panels and side panels (otherwise known as "Scheuklappen", i.e. blinkers) and cockpit armour plates. This additional armour package had no Rüstsatz-number at the time, although it is sometimes designated "R7" as above. In order to save weight, the MG cowl machine guns were removed on these aircraft. Besides one prototype, there was no A-6 with MK 108 in the outer wings; i.e. an A-6/R2 did not exist. A-7: a good percentage of the approximately 700 A-7 models were built as A-7/R2- this version was fitted with the heavy MK 108 cannon in place of the MG 151/20 in the outer wings. These aircraft were flown by other Reichsverteidigung units in early 1944 - not only by Sturmjäger. A good example is JG 11. The aircraft for the Sturmjäger additionally had the "Sturmjägerausrüstung" (i.e., additional armour), and the MG 131 were usually removed. A-8/R2: A-7/R2 were quickly supplanted by the similar A-8/R2; the aircraft for the Sturmjäger additionally had the "Sturmjägerausrüstung", and the MG 131 were usually removed. The additional armour was not popular with the pilots. 'squirrel' writes that in II./JG 300 the "blinkers" "were always removed". This is not stricly correct as Lorant shows several JG 300 machines in a lineup with the 'blinkers' but was a common modification carried out at unit level in the various Sturmgruppen. The formation of ice at altitude restricting visibility was a problem with these fittings. A-8/R8 and A-9/R8: These aircraft were "planned" to replace the R2 in the Sturmgruppen. The R8 had the armament of the R2 (i.e. 2 x MG 151/20, 2 x MK 108, no MG 131) plus the armoured windscreen and quarter panes. However the key change here relates to the uprated TU or TS engine to replace the BMW 801 D - if available. There were other detail amendments for 'R8' mainly involving additional internal armour protection (for the oil cooler) which would not be an issue for the modeller.. However when 'squirrel' writes " It is hard to tell how many A-8/R8 and A-9/R8 were actually built, and the only distinguishing feature between the R2 and R8 on pictures is the armoured glass windscreen and triangular glass panels.." I'm not quite sure what he is trying to argue since these features were present on all Sturm variants. When the MK 108 cannon armed Fw 190 A-8/R2s entered service with IV./JG 3 in April/May 1944 they already had the armour in the optimal 'Sturm' configuration with the armoured windshield glass and quarter panes. 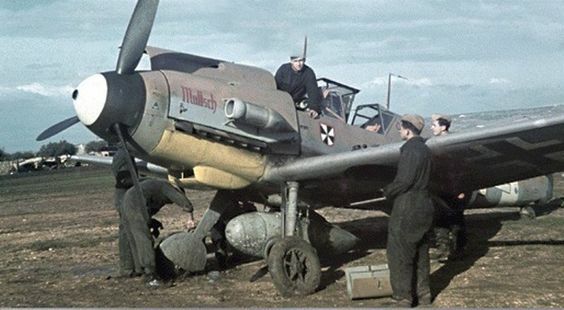 To go into combat against Pulks of B-17s and B-24s, the Fw 190 was modified with bolt-on 5 mm armour plates, so-called "Panzerplatten", scabbed onto the fuselage sides. Additional 30 mm armoured glass panels were mounted on the canopy and extra glass was added to the windshield quarter-panels. The outboard 20 mm wing guns were replaced by the MK 108 30 mm cannon. Most A-7 machines of Sturmstaffel 1 were so-equipped long before an 'official' 'R2' designation existed. The first A-8s arrived in the Sturmstaffel during April 1944 (cf. Siegfried Mueller Flugbuch)- this combination was thus the 'classic' Fw 190 A-8/R2 "Sturmbock" (Ram). In an effort to save some weight, the 13 mm machine guns that were mounted over the engine were often removed. However - and it's a very big however - after the first 'successes' - and more importanly for the pilots - the heavy losses, canopy and in some instances the fuselage armour was progressively removed by some pilots. The well-known photos of Dahl's 'Blue 13' taken during the autumn of 1944 show a machine which has had its Panzerplatten removed. Dahl left JG300 during December 1944. An 8./JG 300 pilot comments (Lorant JG300) that he wanted to remove the Mk 108 cannon as well - the entire raison d'etre of the type - although this was not authorised. So by the time frame late September-early November 1944 you have a situation where 190 Sturm variants at unit level have lost the prinicipal Sturm features - prior to the manufacturer even issuing the R8 designation. In my view the R2 and R8 can be seen as being to all intents and purposes the same thing - the 'R8' designation in particular was a purely 'administrative' device introduced by the manufacturer to pull together all the 'different' Sturm fits - and had very little or nothing to do with what was happening at unit level by the time of its introduction in late 1944. Some of the more knowledgeable enthusiasts quote Rodeike here. I think its very difficult to come to any hard and fast designations on the basis of a single factory document - but I would suggest that what was happening at unit level anticipates later 'official' developments, with Rüstsätze & engines being retro-fitted and then removed according to operational requirements, pilot preferences etc. "...The A-8/R2 with the MK 108 & armour fitted with the TU/TS is re-designated R8… Das Triebwerk BMW 801 TU ..ist nach Möglichkeit ...einzubauern. Grund: Verstärkte Panzerung für Kühler und Behälter..... Die Schusskanale in der oberen Triebswerksschale sind dabei adzudecken... .. the gun troughs in the upper engine cowl cover are as a consequence to be faired over ..." ( ie ...where the BMW 801 TU is installed). However such external configuration can be seen in very many photos taken prior to issue of the above-cited document where such aircraft were designated R2. 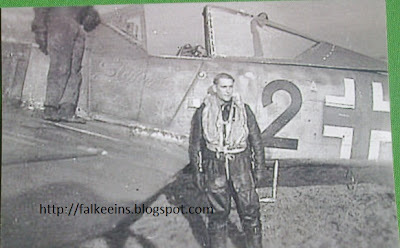 Note the erhöhte Notleistung as identified by the small yellow ring to rear of the upper cowl cover was featured on both the D-2 & TU powerplants..
Klaus Bretschneider's Fw 190 A-8 WNr. 682204 Red 1 (lost on 24 December 1944) displays all these features and is ‘officially’ listed as an R8. However despite reproducing the document referred to above, Rodeike captions the picture of ‘Red 1’ on P363 of his Jagdflugzeug 190 book as the R2. Indeed his 444 page book on the Fw 190 doesn't show a single photograph of a Fw 190 A-8/R8 - which at least demonstrates to me that an 'R8' cannot be identified from photos and should be of no concern to modellers! To conclude and based on my readings of Rodeike, correspondence with Sturm pilots from II./JG300, and IV./JG 3 and Lorant's two volume history of JG300, the 'R8' designation was essentially a manufacturer's 'catch all'. Note again that although most pilots weren't happy with the heavy wing cannon (MK 108) they were not allowed to remove them. Those pilots such as Ernst Schroeder who did fly A-8s in the Sturmgruppe with no Mk 108 cannon or armour fit were those generally recognised to have had some success in fending off the Mustang escorts so flew as top cover escorts for their more laden comrades. To repeat, by the time 'R8' designation appeared in late 1944 the Sturmgruppen had little requirement to put into service fully fledged 'Sturm' machines. There are very few 'R8' machines appearing in the loss lists of II. (Sturm)/JG 300 - a unit which suffered huge losses in attacks against the bomber Pulks. The reason for all these apparent adhoc variations in the Sturm config is straight forward and largely determined by the pressure of events at unit level. Invariably caught by the P-51s before being able to reach the bombers, by September 1944 through November, December and culminating on 14 January 1945 - when huge numbers of them were shot down -the Sturm 190 pilots were having to fight for their lives..